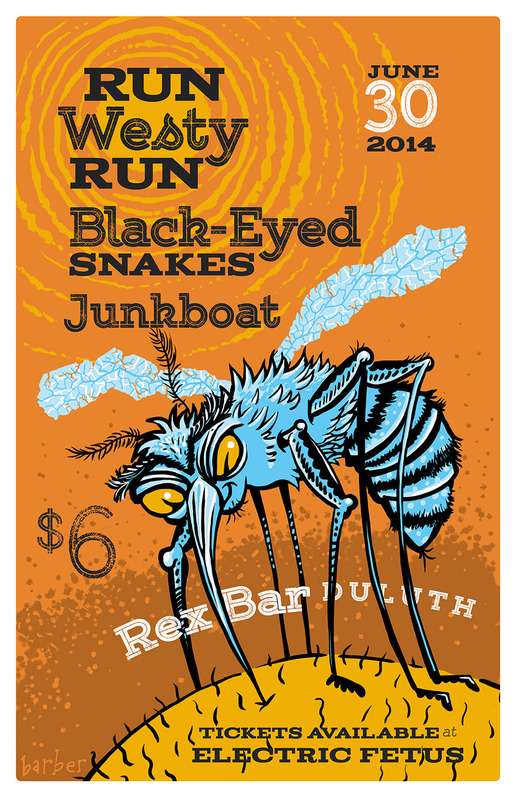 I was asked to do a gigposter for the reunited Run Westy Run, Black-Eyed Snakes, Junkboat show here in Duluth. Run Westy Run was still playing quite a bit when I moved from Nebraska to Minneapolis, and I got to see them in a lot of different places. This will be a fun show to see.